We follow a philosophy of local manufacturing and have a zero-compromise approach when it comes to design and material selection. We believe that the best pieces are made from simple, pure materials. The materials we work with are carefully selected for their unique qualities and their ability to grow more beautiful with age and use. Pieces are designed with flexibility of use, durability and timeless desirability in mind. Our intent is that the user will keep the product for a life time and that the piece will adapt to the users ever changing needs and tastes. Each piece is made by a small team of highly skilled traditional craftspeople in the United States using timber sourced from local, sustainably managed forests and the highest quality sustainable finishes and materials. For us, sustainability is defined as having multiple intentions all of which center on the idea of balance, of giving as much as we take, be it through economics, the environment or in our everyday experience. Embracing American made craft and innovation, Kalon Studios was founded not only to design products that stimulate and inspire but also to use design for positive change. Kalon works primarily with natural materials, embracing their unique character and color as an integral part of design. These high-quality materials have minimal to no chemical processing and no harmful additives. Our materials are carefully sourced for longevity and the ability to grow more beautiful with age and use. They meet the strictest sustainable criteria. We work exclusively with domestic hardwoods. All our woods are sustainably harvested from forests local to our factory. See information about the species we work with below. The metals for our custom parts and hardware are selected for their durability and beauty. Our standard finish for metal is wax. Wax allows our metals to develop a beautiful patina over time. We select the purest, all-natural fiber textiles for our products. We work primarily with organic cotton and wool. These textiles are reverently sourced, from farmer to mill and minimally processed. There are no flame retardants or harmful additives so there is no off-gassing. In our upholstery fabrics, for durability of use, we allow for a maximum of 10% synthetic material. Otherwise, all textiles we use are 100% pure, natural fiber. We work with GOLS certified, hand-molded, natural latex derived from organic rubber trees and ECO Institute certified organic palm coir (coconut fiber from recycled coconut husks). See our upholstery + bedding section below for more details. When it’s structurally beneficial we use FSC Certified Baltic Birch Plywood. It passes CARB II emission standards for Formaldehyde (California 93120 Phase 2 compliant for formaldehyde), the strictest emission standard to date. Our standard wood finish is a premium, organic plant-based oil/wax finish. It contains a sophisticated combination of natural resins and waxes that together penetrate the wood to create a durable, water repellent, water-mark resistant finish, enhancing and maintaining wood beauty and breathability. 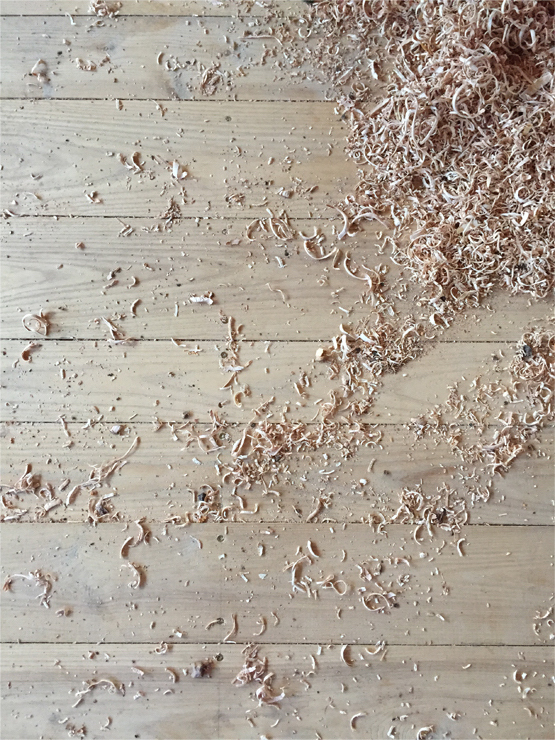 For our lighter woods we use a premium, organic plant-based oil/wax finish, painstakingly developed to preserve the delicate, luminous beauty of raw wood. This hand-rubbed finish is water repellent and allows the wood to remain lighter for longer as the wood develops its natural patina through age and use. We work with a GreenGuard Certified, water-based, furniture grade lacquer that is non-toxic, low VOC, and 100% HAPs free (Hazardous Air Pollutants). Our standard glue is a water-based Titebond II equivalent. Our glues are water-based and non-toxic. They out-perform by 3x both the stringent E1 (European) and California (US) emission standards, the highest ratings available. Using only the highest quality sustainable materials, all of our products are American made with purity, craft and timeless appeal in mind. Kalon follows a philosophy of local manufacturing. 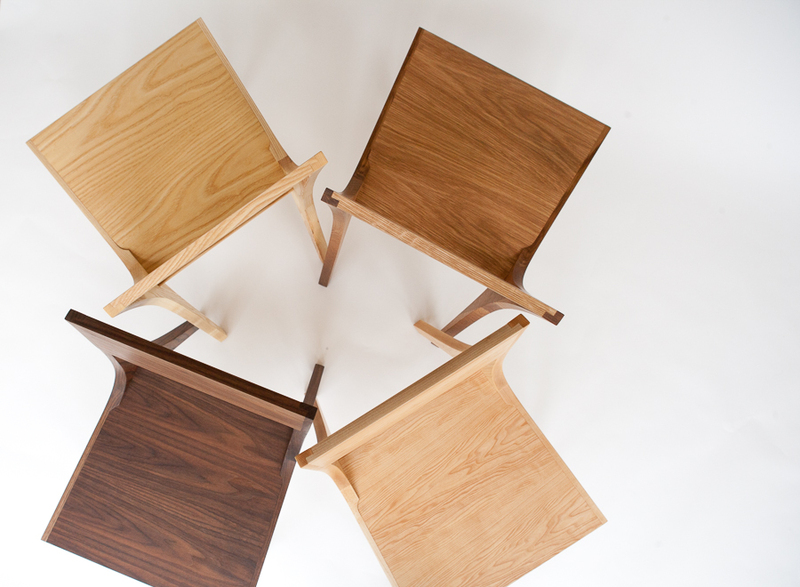 All of our products are crafted by highly-skilled furniture makers in the United States. All lumber is sustainably harvested from the forests most local to where our pieces are made. Similarly, all packing materials are sourced local to the where each piece is made. 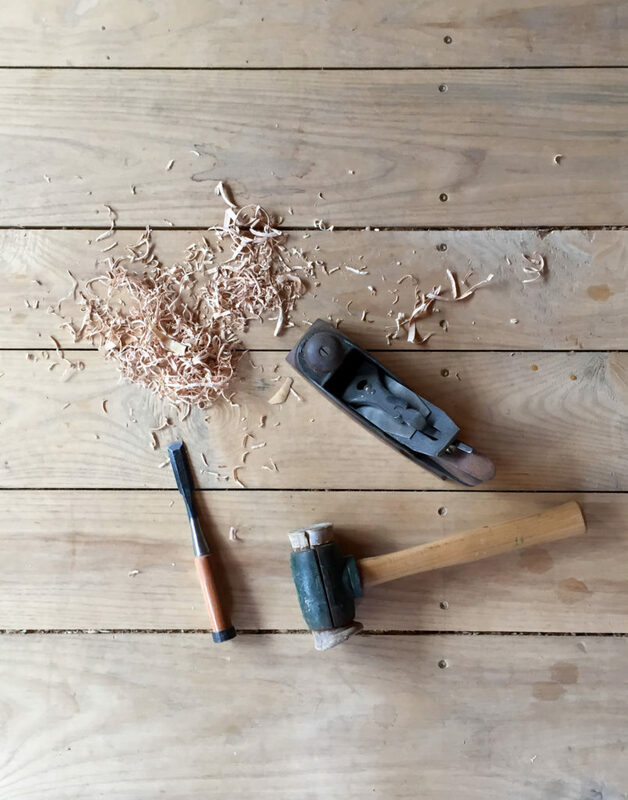 Our intent is to sustain and revitalize the businesses, communities and woodworking traditions most local to us. Our production model is highly digital, highly efficient, small to batch one size production. This allows us to implement changes as soon as they have been developed. It also allows us to respond to demand so there is no risk of over-production or dead stock products. All of our products have a minimum 90% material efficiency and we are continually redeveloping our manufacturing process to create less waste. Any lumber off-fall is repurposed as heating fuel or for other wood products. We don’t design to industry standards, we design and develop beyond them. Our pieces and materials meet some of the world’s most stringent sustainable standards, but more importantly, they meet our standards. This means that from design to production, each piece must be functional, long lasting, of the highest quality and it must give as much as it takes both to the environment and to the people who make it. All of our packaging is made of recycled materials. Our standard packaging is corrugated cardboard for both the exterior box and interior padding. Thin layers of recyclable poly-sheeting are used to carefully wrap large pieces to protect the surface. Absolutely none of our products use any type of chemical flame retardant. Our mattresses are made in the USA without any additives or toxins using only four pure materials: organic coir, organic natural latex, natural wool and organic cotton. Each is carefully sourced and certified for natural, organic content at the various stages of production, from farmer and crop to factory. These materials promote a healthy sleeping posture. They are naturally hypoallergenic and resistant to bacteria and mold, naturally fire-retardant and naturally cooling. Our upholstered products use many of the same organic materials found in our mattresses, primarily organic latex foam and wool. They are upholstered with Greenguard Gold Certified wool fabrics. For durability, we allow for up to 10% synthetic content in our upholstery fabrics. For information about how to care for your upholstered product, please visit our Care + Maintenance page. We work exclusively with domestic hardwoods. All our woods are sustainably harvested from forests local to our factory. To maintain healthy forests, the best wood choice is sustainably managed, locally sourced wood; local wood has much less embodied energy from transportation. We put minimal restriction on the grain structure of the woods that we use which is vitally important to reducing waste in the timber industry as often only wood with “ideal” grain structure makes it to market. Light, clear wood. Near white when raw, oil brings out a slight yellow tone. Deep, pitted grain structure. Honey, caramelized color. Linear grain structure and cathedraling with longer rays (thin, dark brown streaks running with the grain). Traditionally used in heirloom furniture. Dark chocolate hue, golden highlights. Clear and light hue with red tones. Straight-grained, fine uniform texture. Although we don’t always seek certifications, many of the materials we use are highly-certified. Products that have achieved GreenGuard Certification are scientifically proven to meet some of the world’s most rigorous, third-party chemical emissions standards—helping reduce indoor air pollution and the risk of chemical exposure while aiding in the creation of healthier indoor environments. Must contain at least 95% certified organic raw material. Must maintain a strict chain of custody through the farming, harvesting and manufacturing process. Must be produced in mills that enforce strict social and environmental standards. Fact: only 1% of the world’s cotton is organic. Oeko-Tex Certified – An independent testing and certification program for textiles at all stages of processing, from raw material to finished product. It certifies that the item and all of its components are free from harmful levels of over 100 toxic substances.